A friend on Facebook recently posted a recipe for a pie she was going to try. Everyone commented on her post about how good the pie looked. It did look amazing and sounded good too. 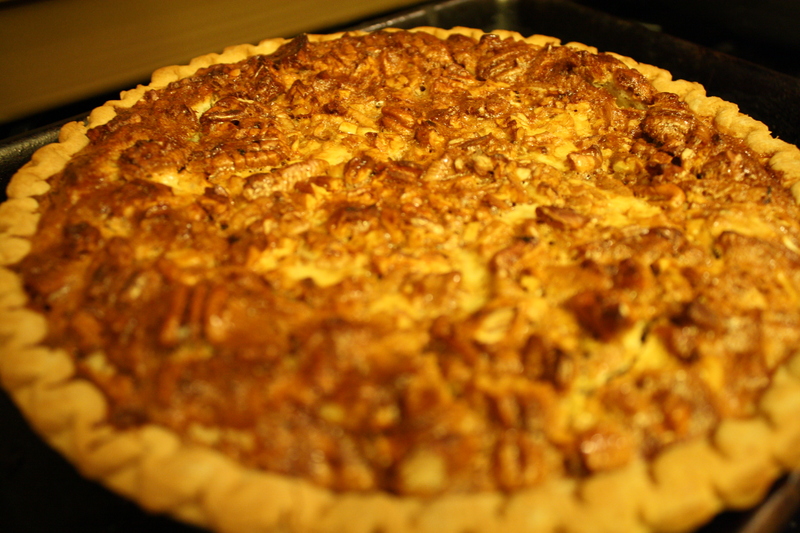 Everyone likes a good pie, for goodness sakes. Now, who wouldn’t love this pie? I looked it up online. The recipe sounded easy peasy, so I made it for a party at my aunt’s house where there would many good cooks with great food to match. The pie was simple to make with not too many ingredients and easy instructions, and it turned out to be really pretty even though it looked like a balloon when it came out of the oven. I was excited. This pie was something new! The pie made it to the party, it was set on the dessert buffet by the other delicious desserts, but no one ate it. I was shocked. I was bummed and my self-esteem was shaken. I was ruined! Was my pie not good enough for those people? I had a piece when I brought it home, and it was so good. 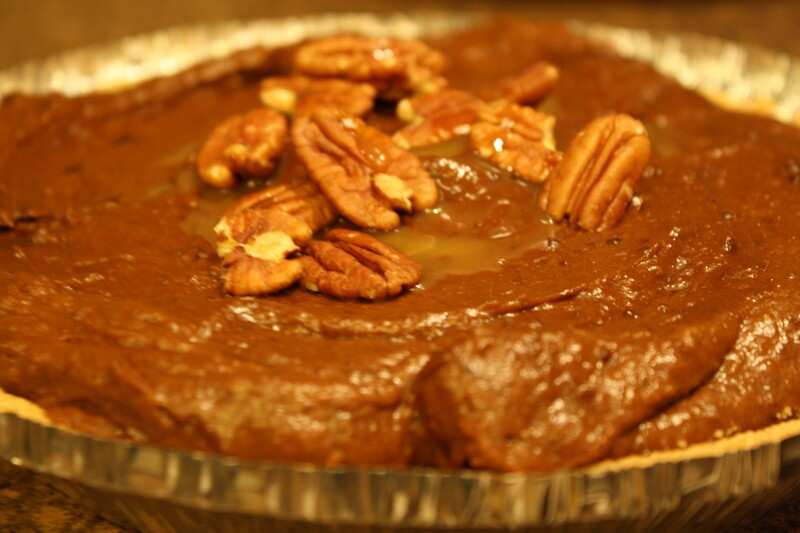 I thought that it would be too sweet with all that caramel sauce in the pie, but it was nice and evenly sweet with a nice crunch from the pecans. I liked it a lot, but I had to throw away most of it. There were just to many other yummy options at the party, I decided. So, I made it again for New Year’s Day. Same pie, same easy recipe, same balloon effect out of the oven. I set it out beside my bread pudding. I don’t get it. It really was good and pretty and easy. Oh well. Will I make it again? Will the third time be the charm? Maybe. It just all depends on whether or not I want to eat another pie alone. Yay! It is pumpkin pie season again! My husband is a big pumpkin pie fan as I have mentioned here before. The way to his heart is through his stomach, and so pumpkin pie he shall have. I like it too. 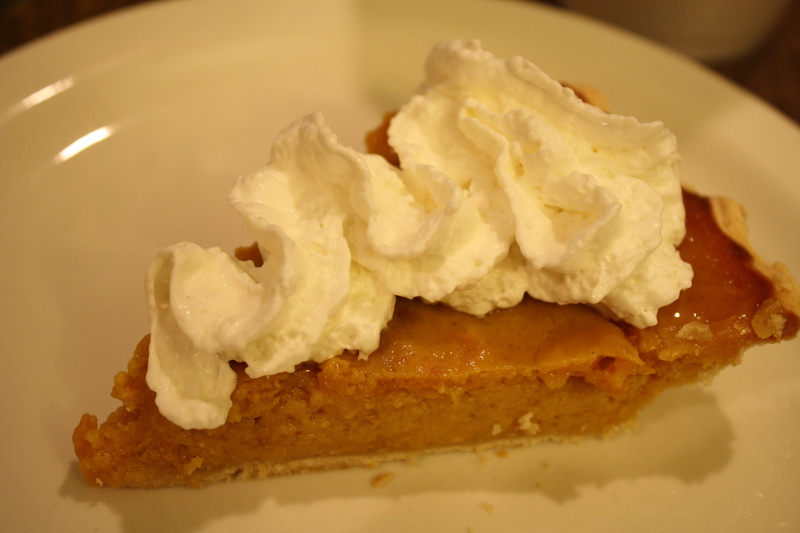 I usually like to keep my pumpkin pie simple. Yesterday, though, I had no choice put to keep my pie simple. I decided to make a pumpkin pie since I made a chicken pot pie and had an extra crust. In a large bowl, I poured a can of pumpkin. Then, I started looking for the other usual ingredients like evaporated milk and eggs. I love it when I do this to myself, and I do it often. I will think I have everything I need, and then when I look for my ingredients, I have half of what my recipe calls for. It is just sooo much fun to sabotage myself by not preparing ahead of time. There was no going back yesterday; the pumpkin was in the bowl, so to speak. To it, I added one can of sweetened condensed milk, half a cup of sugar, a smidge of cinnamon, and a smidge of salt. I had no eggs, milk, or cream to add, so it was anyone’s guess as to how this was going to turn out. I baked it at 350 for one hour. Believe it or not, the pie was actually very good. 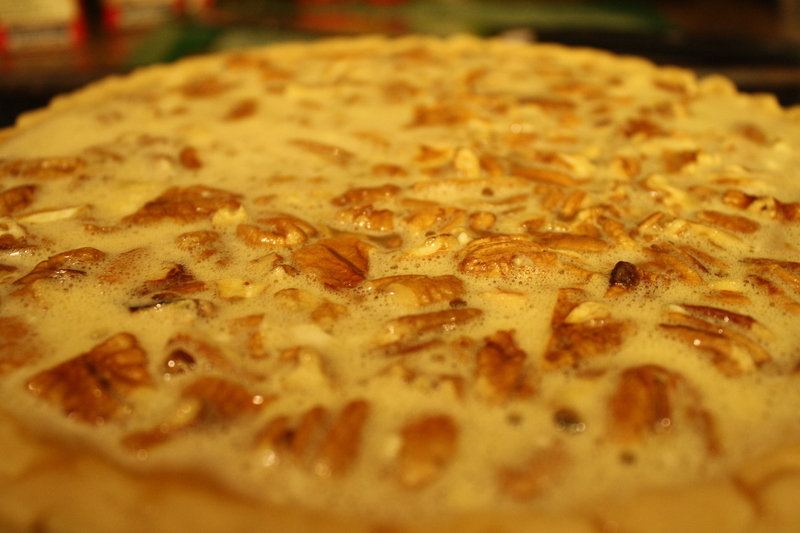 The pie looked fine even though it was a little sticky since it was full of sugar. It had a nice thick consistency, a pretty shiny color, and it baked through nicely. I sliced a piece and topped it with some whipped cream. When we tasted it, it was very, very sweet, but it was a caramelly type of sweet not a sugary type of sweet. I believe with a nice caramel decoration on top, this could pass as a caramel pumpkin pie and be believable as a recipe done on purpose. I can not believe this actually worked. Of course, next time I try to make it, I won’t have all the ingredients. Sigh…. 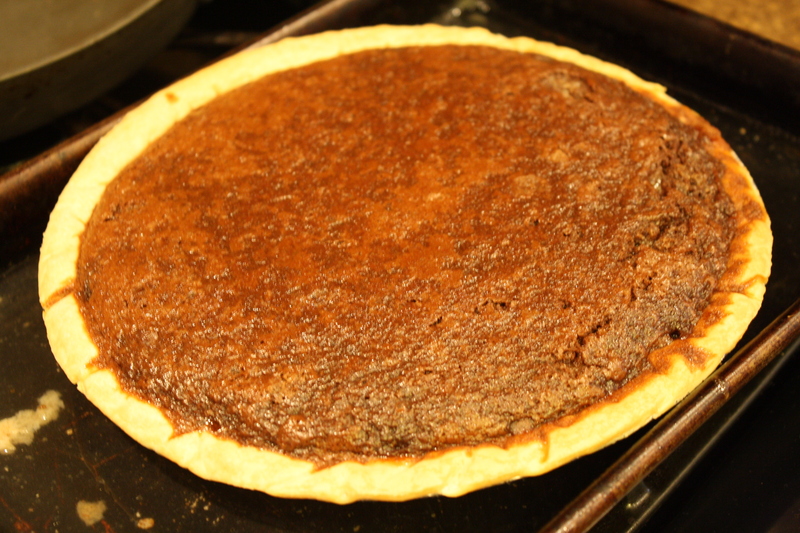 The miracle of miracles about a chocolate chess pie is how impressive it is, yet it is so easy. 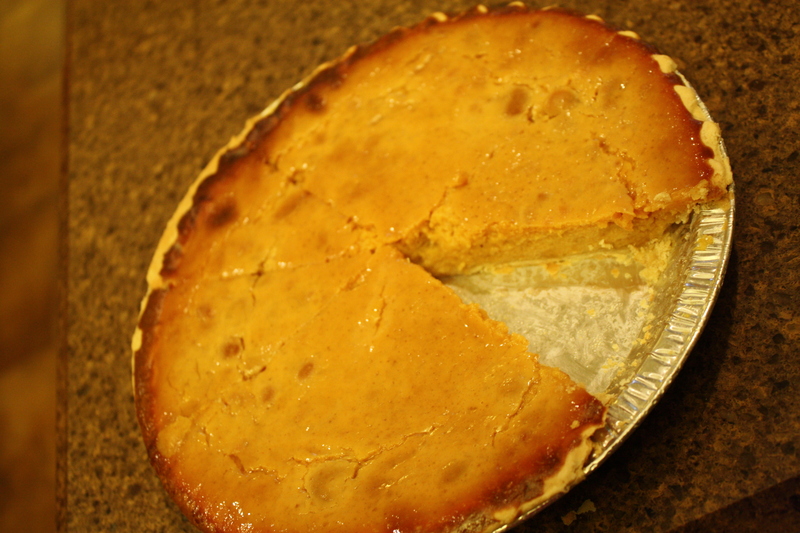 As my sister always says, you always have the stuff on hand to make a chess pie. I agree. This recipe makes one full pie. You’re gonna want to use a sturdy cookie sheet under your pie plate, because this will fill the pie shell all the way to the tippy-top. Mix the cocoa and the sugar. Add the eggs, milk, butter, and vanilla. Beat well. Really well. You don’t want this to separate. Pour the mixture into a pie shell. Bake at 350 for 50 minutes or until set. Cool then cut.